Where do you want to see your Business in next six months? Are you a small company looking for growth or a medium sized company wanting to dominate your market? Utilise the power of Search Engine Marketing Strategies and generate huge returns on your investments! Partner us to see your business grow steadily. We are there to help you achieve your goals. Having a website is the first step in Internet marketing. The next logical step is to not only widen your reach, but also identify and find your target audience quickly.This is where SEO comes in! 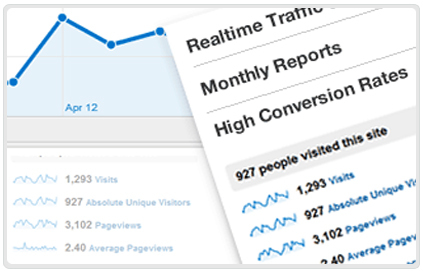 The power of SEO cannot be underestimated. It allows potential customers find your website amongst hundreds of others on the Web by positioning it amongst the top ranking sites in the industry. SEO Services Australia is a company dedicated to providing Search Engine Optimisation and Pay Per Click services that give businesses like yours the opportunity to take advantage of the online marketplace. 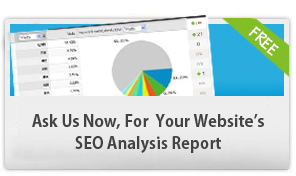 We help you by using the power of search engines to advantageously position your product or service. SEO is a powerful Web marketing technique that helps find and rank your website higher than hundreds of others in response to a search query on the Web. Whether you are a large company or a small one, your online business needs visibility in the e-market to boost sales. It makes sense for businesses to seek cost effective and reliable search engine optimisation solutions to drive more traffic to their websites. 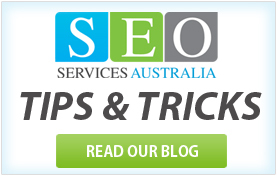 SEO Services Australia has an excellent Web promotion strategy that can help you drive sales by pulling in more customers. Our Search Engine Optimisation (SEO) plans have helped a number of companies in Sydney, Melbourne, Brisbane, Perth and other cities across Australia to garner greater online visibility resulting in incredible sales in organic search engine listings. 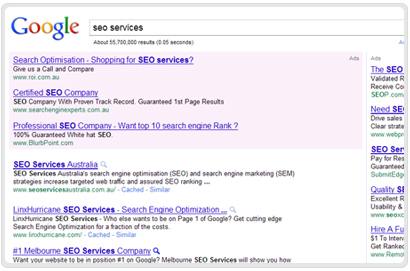 Getting up there in the top ranks on a Web search is quite simply about wooing the various search engines the right way! Since different search engines give importance to different factors while doing searches, careful and calculated optimisation is the key to conquering them. Though many SEO service providers claim to guarantee you a position on the first page instantly when a search is done on any search engine, it is more bluster than truth! 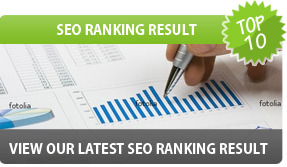 It takes consistent effort, time, intelligent planning and strategising to show up among the top ranks on a Web page. With its excellent grasp of how search engines work, SEO Services Australia has devised credible plans to get your website to not only show up on the first page in the shortest possible time, but also eventually achieve the coveted top rank in searches! Our experts are focused and systematic in their concerted effort to place your website on top in Web searches of popular search engines such as Google, Yahoo and MSN. Are you having trouble reaching your target audience despite substantially investing in advertising? Did you try Internet marketing, but were unable to generate quality leads? If yes, you need to try a different approach – that of PPC advertising. With a start-up company, constant exposure and visibility go a long way in generating instant traffic that would potentially translate into incoming revenue. Our pay per click management support will bring your website in the spotlight and fetch more qualified leads. What every company should know about PPC? Pay per click is an Internet advertising model used by search engine marketers to drive traffic to a website. PPC helps a top ranking site garner exposure and consolidate its place, or a yet unranked site to gain that all important exposure which would steadily raise its rank in the race to the top. With the PPC advertising technique, your website is placed on the sponsored links of top-notch search engines such as Google. PPC automatically brings your website on the first page of a search done by a search engine, giving you the advantage of capturing the attention of users instantly and remaining visible to them. As visitors click on your advertisement, they are directed to your company’s website, giving you an opportunity to seal the deal. SEO Services Australia helps you select the best PPC campaign, monitor and track statistics, and refine your PPC strategy.